« Get Ready for Portland’s 42nd Annual Old Port Festival Weekend! Enjoy a Scenic Casco Bay Cruise! 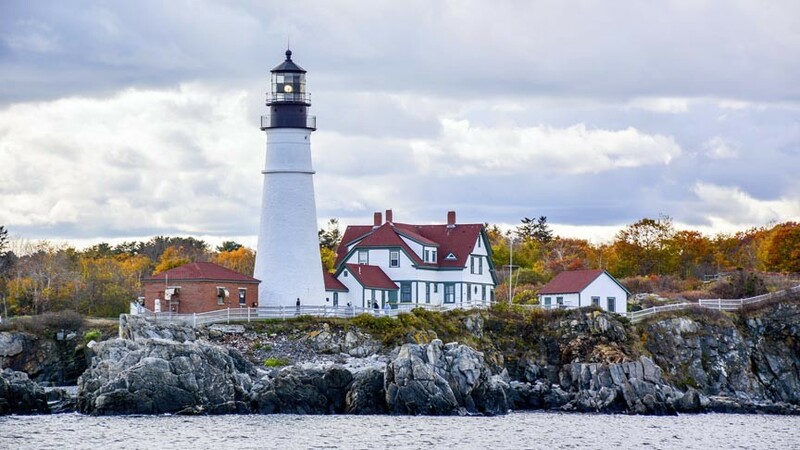 Casco Bay, Maine is home to many small and large islands, lighthouses, history, and wildlife. A Casco Bay cruise is a great way to see all this and more! Casco Bay has seven lighthouses and so many islands they are often referred to as the Calendar Islands, as in: “you can visit a different island for every day of the year.” A touch of hyperbole, certainly, but there are a lot of islands in Casco Bay and exploring them with a Casco Bay cruise is a very popular thing to do. Casco Bay Island Transit District, also known as Casco Bay Lines, is the ferry system providing passenger, freight, postal and vehicle ferry service to the islands of Casco Bay from Portland, Maine. They’re also your passport to a Casco Bay cruise! A 17 minute cruise (one way) to Peaks Island: hike, bike, explore the beaches, and dine at one of the island restaurants. The Mailboat run carries both passengers and freight to Little Diamond Island, Great Diamond Island, Long Island, Cliff Island, and Chebeague Island. This Casco Bay cruise is a wonderful way to see the sights of the bay. Narration is provided if ten or more Casco Bay cruise passengers are onboard. A lovely, scenic cruise of the Inner Bay with its picturesque Victorian cottages on the shorelines of Little Diamond Island, Great Diamond Island, and Long Island. Narration is included when there are 10 or more Casco Bay cruise passengers. Beautiful views of Portland in the twilight as you cruise through Casco Bay – with narration for 10 or more Casco Bay cruise passengers. Enjoy a peaceful dawn cruise through the awakening islands: enjoy the sight of both wildlife and the local fishing fleet starting their days. Narration included with 10 or more Casco Bay cruise passengers. Sail under the stars and watch the harbor lights twinkle as you cruise the moonlit waters of Casco bay. Gorgeous. Learn the history of Casco Bay as you cruise past lighthouses, forts, and 19th-century summer colonies. Includes a leisurely stop over for lunch and exploration of Bailey Island. Casco Bay Lines also offers charters, special seasonal and entertainment cruises, lobster bakes and more. Some of the cruises are seasonal and passage times may vary. Be sure to visit the Casco Bay Lines site for prices, scheduling, and other information. Perhaps the only thing more relaxing and fulfilling in the Portland area than a Casco Bay cruise is a stay at Brewster House Bed & Breakfast in Freeport. Just 15 minutes from Portland, Brewster House Bed & Breakfast is the perfect base from which to explore the Maine coast. Let us help make your Maine coast getaway the best it can possibly be!